Allison O&apos;Brien DMD of Dental Services of Sarasota in Lakewood Ranch, Florida has become a member of the American Academy for Oral Systemic Health, a scientific organization that promotes education, awareness, and interdisciplinary collaboration concerning the connection between oral and systemic health. Emerging science confirms that chronic low-grade infections in the mouth (gingivitis, periodontal disease), sleep apnea, TMD, and oral cancer elevate systemic inflammation and have an impact on all body systems. 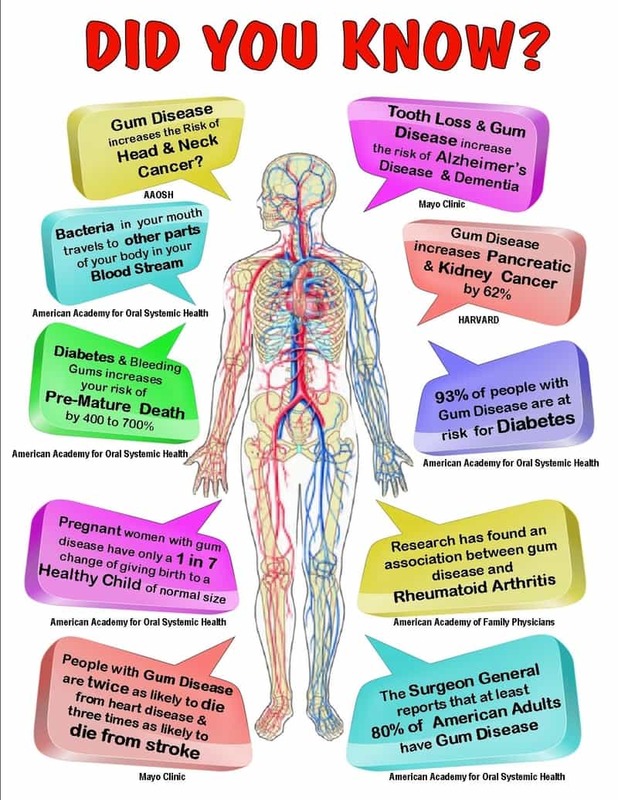 Countless studies have demonstrated a link between poor oral health and systemic disease such as heart disease, diabetes, stroke, dementia, rheumatoid arthritis, and even pregnancy complications. Dr. O&apos;Brien and her entire team look forward to helping shape the health of the Sarasota community through thorough and proactive care. The American Academy for Oral Systemic Health is an organization of healthcare leaders and health professionals committed to research and interdisciplinary treatment between dentists and physicians to care for a patient&apos;s total body health. Learn more at AAOSH.org. Dr. O&apos;Brien is a founding fellow of The American Academy for Oral Systemic Health, a group that promotes collaboration between physicians and dentists to better care for patients. Click on the thumbnail images to learn more!